The Shaykh explains that the Salafis who follow the truth, the way of the Salaf, without tahazzub (partisanship), are the party of Allaah in truth, and that it is obligatory for everyone to associate himself with it. 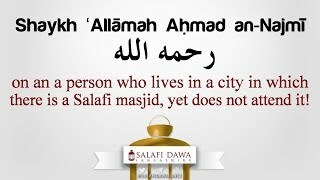 The Shaykh also explains that none can be from this party of Allaah (of Salafiyyah) unless they actually follow the way of the Salaf in reality. Note: The Shaykh praised the refutations of Shaykh Rabee' bin Haadee and his defending the manhaj of calling to Allaah. These matters are well-recorded and known. 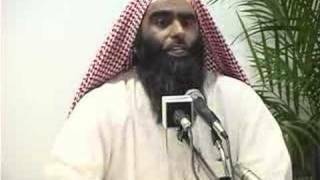 Thus, when the Shaykh is warning from tahazzub as occurs in other statements of his, even if it be in the name of "Salafiyyah", then that applies to those deviants who followed other methodologies (like those of the Ikhwanis) whilst claiming to be "Salafis" and declaring others to be astray unless they join their group. 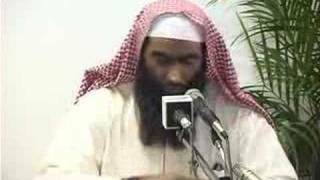 This behaviour was manifest in the way of Abd al-Rahman Abd al-Khaliq and his so-called "Scientific Salafiyyah" movement, he reviled some of the major Scholars, and brought destructive false principles under the banner of Salafiyyah. 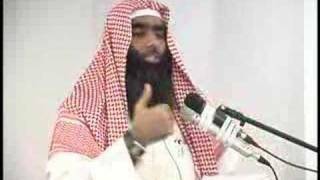 No matter how hard people have tried to malign the Salafis who follow the way of the Salaf in aqidah and manhaj, following the scholars in that, all their attempts to use the various statements of Shaykh Ibn Uthaymin in which he warns, correctly, from falling into tahazzub in the name of Salafiyyah, have failed. 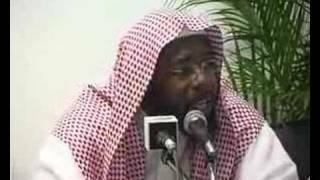 This is because the very issues around which the Salafis based their criticism and warning against the opposers, were similarly spoken of and outlined by Shaykh Ibn Uthaymin by the time he passed away (rahimahullaah) and they include matters pertaining to Sayyid Qutb, Takfir of the rulers, rebellion, multiplicity of groups (jamaa'aat), false methodologies in calling to Allaah, and calling to Tawhid, demonstrations and so on. Further, Shaykh Ibn Uthaymin praised Shaykh Rabee on many occasions and explained that the only reason the opposers attack him because he spoke of some of their figureheads. So the truth is clear and only those are blind who choose to be blind, despite the matters being as clear as daylight.